With triple-digit growth in self-publishing services, technologies evolving weekly, and advertising hype, it’s tough for authors to figure out which vendors to choose for which services. In a three-part series, I’m looking at three popular paths to get your print and e-book to online retailers and brick-and-mortar stores, without going through the subsidy presses. You might also choose to print with a traditional printer, especially if you're a color-book author or you want a high quantity of books at a low cost." In Part 1, we learned how to get your e-book formatted and distributed to the greatest number of online retailers. Path 2: Print (POD) – Getting your print book formatted and distributed to online retailers and brick-and-mortar bookstores. Path 3: Partner with a pro – Finding a distributor, small press, publisher services company, book packager or literary agent who will invest in and shepherd your book much like a traditional publisher in exchange for an exclusive distribution deal and significant royalty from sales. Indie authors who want to sell their books in print can use CreateSpace’s print-on-demand (POD) service to get the widest distribution to both online and brick-and-mortar bookstores, though other services might be a better fit, depending on your goals. Plus, authors of full-color books can now use POD services — the quality has improved. You might also choose to print with a traditional printer, especially if you’re a color-book author or you want a high quantity of books at a low cost. Here are the popular options. Create your POD book using one of the CreateSpace templates. Or, if you or your designer has created your book using another program (such as InDesign), upload the PDF files for the interior and cover. Keep the book private, order a copy, and if you don’t like it, experiment! Edit the cover, change the fonts, make revisions and corrections. Upload the book again, order another copy, and proof it once more. This is the magic of POD. You can repeat this process as many times as you like until you are happy with your book. Sign up for the Pro Plan and Expanded Distribution Channel (EDC) to take advantage of CreateSpace’s partnership with Lightning Source and the Ingram Content Group. They have a vast print book distribution network, and your book will be visible to bookstore and other distribution databases. Finally, when your book is perfect, pay CreateSpace to send you a KDP-formatted e-book file. Then, upload it to the Kindle store. Your book is immediately available in CreateSpace and the Amazon bookstore, the largest bookstore in the world. Your book becomes visible to retailers around the globe if you join their Expanded Distribution Program. 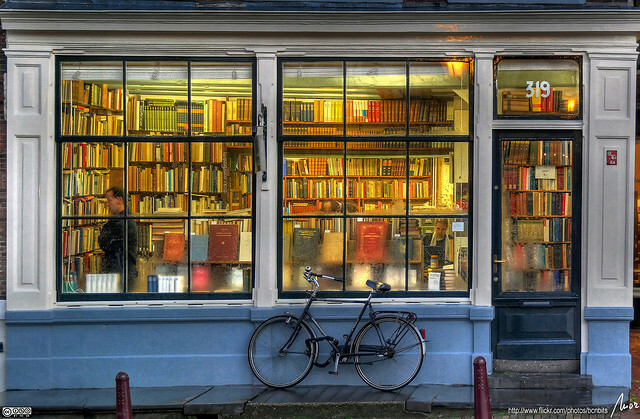 But since they don’t have a returns program, brick-and-mortar booksellers are unlikely to stock your book. However, brick-and-mortar bookstores aren’t really where most books are sold these days. For your e-book solution, CreateSpace will give you a Kindle-formatted e-book to upload to the Kindle store for a low price, but other solutions may be a better fit for you as described in the previous article. Authors of full-color books have fewer options because the on-demand, digital printing presses that POD companies use do not result in the high-quality color separation that offset printers offer. Also, printing color books one at a time, on-demand, can be prohibitively expensive. Hire a designer to create the book in a page layout program like InDesign. Upload PDF files to a vendor like CreateSpace, Lulu or Blurb to print proofs, make corrections, and tinker with the design until the book is perfect. Hire a print broker to find an offset printer (often located in Asia) to print a quantity of books. Order a proof from the printer to make sure the color is perfect. For the e-book solution, create a PDF e-book version of the book that looks exactly like the print book, or have the book converted to a fixed layout format as described in the previous article. If you’ve been studying self-publishing you’ve probably heard about Lightning Source (LSI), a publisher services company with an extremely far-reaching print book distribution network. It’s owned by Ingram Content Group so your print book will be listed with the majority of online retailers and brick-and-mortar bookstores worldwide (which may actually order your book because they do have a returns program). Here’s how to work with LSI. Sign up ($75) and open an account. A sales rep will call you. Fill out all the online forms. Sign all of the contracts and other paperwork you need for distribution to each channel and geographical location (U.S., Canada, Europe, Australia, etc.). Upload the PDF files for your print book. LSI provides detailed specifications, including a spine-width calculator and barcode generator. Order a proof ($75) to make sure the book is perfect. LSI is overkill for most self-publishers, but if you’re an author with more than one book and plan to become an indie publisher or small press, you may benefit from working with the company to get books into stores and Amazon overseas. LSI has the widest distribution to brick-and-mortar bookstores and online retailers that sell print books. LSI has a returns program, so bookstores are more likely to stock your book. Instead of working with LSI, you can obtain Ingram/LSI distribution to online retailers through CreateSpace. But your book is unlikely to be stocked in bookstores because they have no returns program. You need to be familiar with, or be willing to learn, all aspects of the publishing business — including the technical tools of the trade like InDesign. Or you need to hire business and design people to represent you. LSI charges up-front fees per title and fees for proofs and changes, though sometimes the company runs specials. LSI does not handle e-book conversion and distribution. It only distributes your PDF-formatted e-book if a print book is associated with it. Other e-book solutions reach a larger variety of sales channels. LSI prints in a facility nearest the customer, so it’s much cheaper, for example, if you need to deliver print books overseas. LSI can also print large quantities of offset print books. POD companies are also called subsidy or vanity presses, and they will print and distribute anyone’s book. They offer varying levels of services at widely different prices. Lulu and CreateSpace are both subsidy presses that let you upload your book for free for sale in their stores. (They make their money from adding a percentage to the print price of each book that’s sold, and they also offer add-on services like editing, design, and ebook conversion.) Author House, iUniverse, Xlibris and others have basic to deluxe packages that can cost more than $10,000 and include all aspects of book development — editing, design, marketing, e-book conversion, and distribution. One company handles all the publishing tasks so you don’t have to outsource all these tasks yourself. You have little control over who is handling these tasks. The publisher of record is the POD company, and bookstores have little interest in self-published titles. But bookstores are no longer the best place to sell a book. If you decide to leave the company and republish the book yourself, you have to start all over with a new ISBN and reformat the book.